I've got 4 kids, so I know what it's like to see something you love grow up right before your eyes. I imagine the day when my kids grow up and move on with their lives, but that first time they come back after leaving the nest must be pretty special. Well, when I ship off or hand over one of my custom silk bridal bouquet recreations, a box full of silk wedding flowers, or a unique silk floral headpiece, it's little like sending out one of your babies into the world. You hope you hear back from them. So when I open up my ever-filling email inbox and see pictures from one of my treasured clients, it's like that baby coming home! 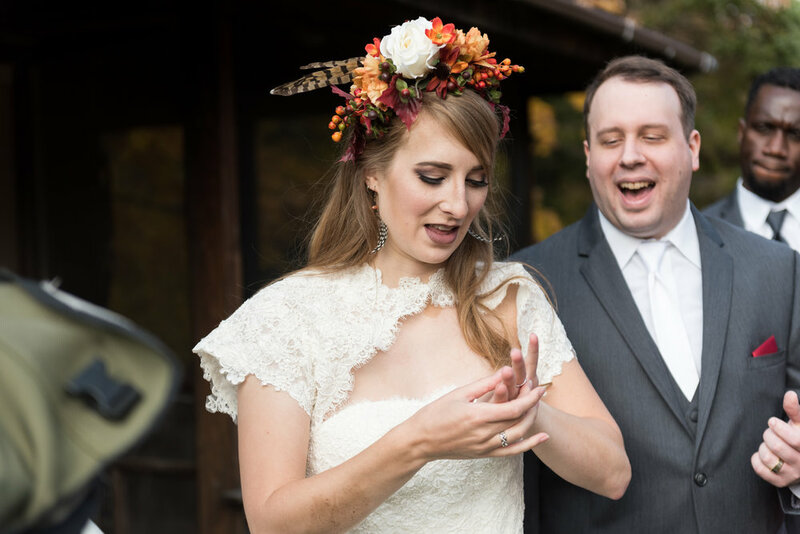 You may remember my post about Winter's beautiful custom floral headpiece, stylishly displayed on my deck rail, followed up by my obviously non-bridal self. Her email caused a squeal of delight as I had all the heart eyes for these pictures. Take a look at the beautiful images provided by Lynsey Tjaden with Studio 220. I love the joy that is so evident here! 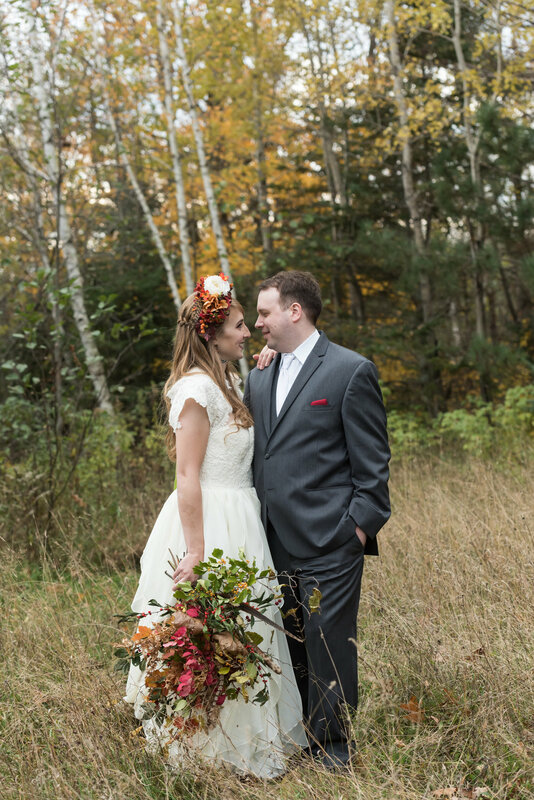 Thank you again to Winter for this awesome opportunity to be a part of a whimsical woodland wedding and create a unique silk floral headpiece. If you are looking for that perfect piece to cap off your bridal look, contact me today to find out if a floral headpiece is for you.